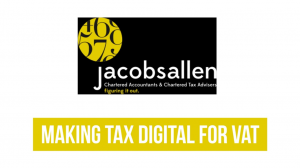 Making Tax Digital (MTD) rollout started from 1 April 2019. Are you ready? Watch our video for more information. Don’t hesitate to call us if you have any questions or need any help. We have already helped lots of our clients to prepare for MTD, why not join them? 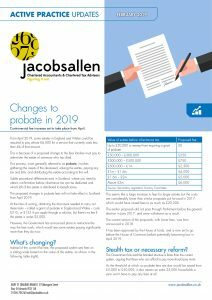 For a run down of the latest tax rates for 2019/20, download or print out our handy tax card. If you want to discuss your planning just get in touch and one of our advisers will be happy to help. How will it affect you? Take a look at our video to find out. Take a look at our video and see Philip Hammond audition as a stand up comic. He did quite well we think! People run businesses for a variety of reasons from passion to pride, but making a living is high up the list for most people. How do you go about drawing profit from your business, and doing so efficiently? 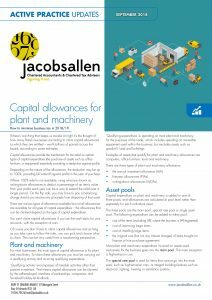 If there’s one thing that keeps us awake at night it’s the thought of how many British businesses are failing to claim capital allowances to which they are entitled – worth billions of pounds across the board, according to some estimates. 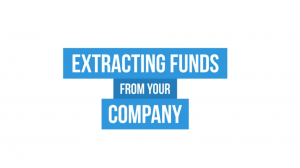 There is more than one way to extract funds from your company and in this video, we are highlighting six different ways. 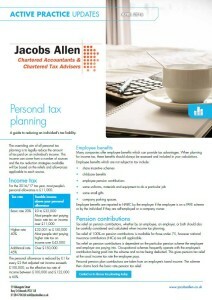 If you would like to discuss any aspects of your tax, please contact us to arrange a free initial consultation. 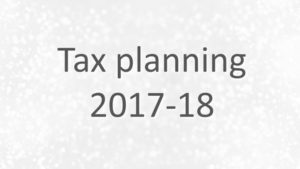 Take a look at our video to find the details of Tax changes and associated issues you may be affected by during 2018-19. 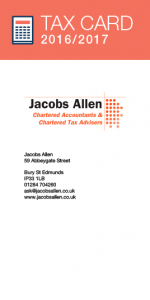 If you would like to discuss any aspects of your tax, please contact us to arrange a free initial consultation. 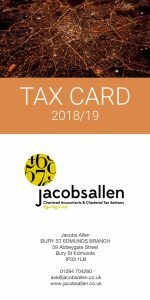 For a run down of the latest tax rates for 2018/19, download or print out our handy tax card. 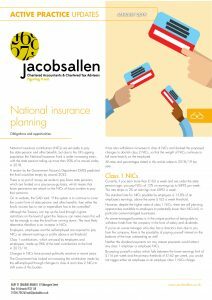 If you want to discuss your planning just get in touch and one of our advisers will be happy to help. These rates and allowances are information only. 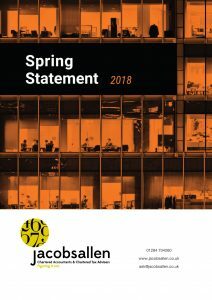 Chancellor Philip Hammond has delivered his Spring Statement 2018, and on his promise to move away from two major fiscal announcements every year. There was no red briefcase, no red book, and no tax changes as the chancellor announced updated economic forecasts in a speech lasting less than half the length of any of his previous statements. 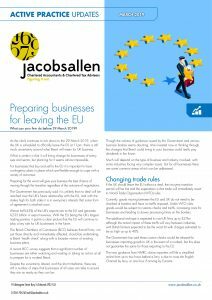 New rules are coming into force on 6 April 2018. 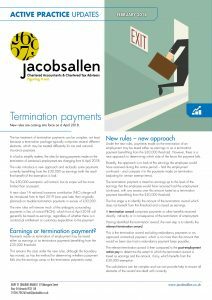 We’re happy to advise on termination payments. 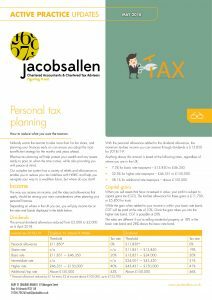 Take a look at our video and if you would like to discuss any aspects of tax planning just give us a call. The initial consultation is free so you have nothing to lose! Please take a look at our video on the 2017 Autumn Budget – not exactly The Grand Tour, even though it was starring Hammond & May, having a go at poor Jeremy. Chancellor Philip Hammond said he’d take a “balanced approach” to his second Budget of 2017. Once again the speech was light on headline-grabbing inance changes and there were no ‘giveaways’ or major surprises. Instead, the chancellor focussed on measures to prepare the economy for post-Brexit life. 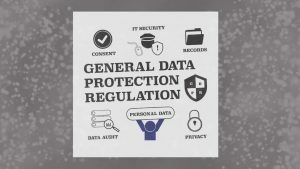 Take a look at our easy to follow video which explains the upcoming General Data Protection Regulation. If you need help or advice in understanding this, or ensuring you are ready to cope with the new regulation, give us a call – our initial consultation is free! 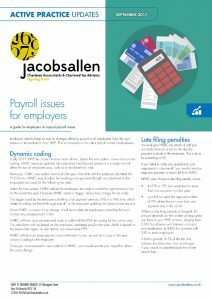 A guide for employers on topical payroll issues. 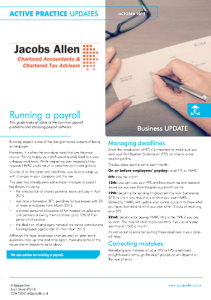 Employers need to keep an eye on changes affecting payroll so all employees have the right amount of tax deducted under PAYE. 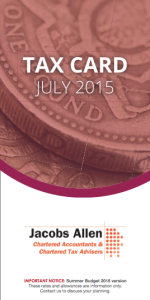 This is a round-up of the latest payroll-related developments. 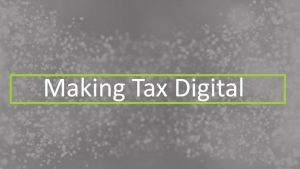 Take a look at our easy to follow video which explains the recent announcement by the Government on changes they have made to Making Tax Digital. If you need help or advice in understanding this, or ensuring you are ready to cope with the new requirements, give us a call – our initial consultation is free! 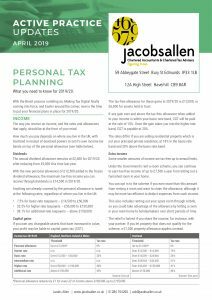 For a run down of the latest tax rates for 2017/18, download or print out our handy tax card. 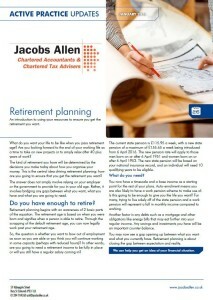 If you want to discuss your planning just get in touch and one of our advisers will be happy to help. 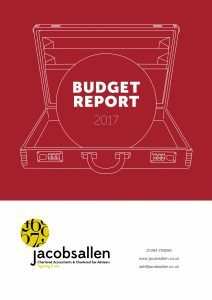 IMPORTANT NOTICE: Budget 2017/2018 version. These rates and allowances are information only. 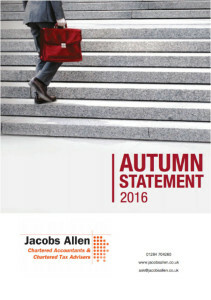 Download the Jacobs Allen Autumn Statement Report for 2016. The first major economic statement since the EU referendum focused on measures to “prepare our economy to be resilient as we exit the EU ”. Research has found that only a third of family businesses are successfully transferred to the second generation of a family. 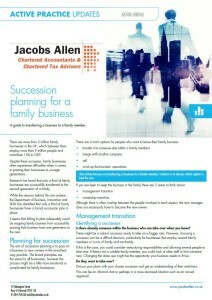 While the reasons behind this are unclear, the Department of Business, Innovation and Skills has identified that only a third of family businesses have a formal succession plan in place. Read our helpful guide to transferring a business to a family member. 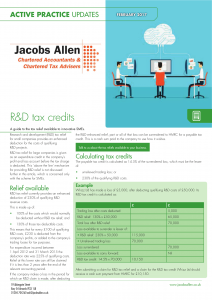 For a run down of the latest tax rates for 2016/17, download or print out our handy tax card. If you want to discuss your planning just get in touch and one of our advisers will be happy to help. 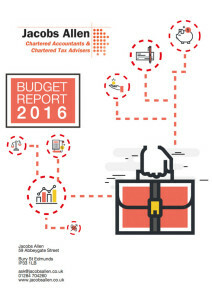 IMPORTANT NOTICE: Budget 2016/2017 version. These rates and allowances are information only. Pitched as a "Budget that puts the next generation first", George Osborne’s speech contained a number of announcements aimed at helping people save for the future. 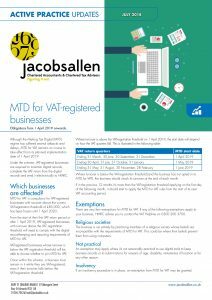 For businesses, measures included changes to business rates and the abolition of class 2 national insurance contributions for the self-employed. And, as we’ve come to expect from such occasions, there were a few surprises too. 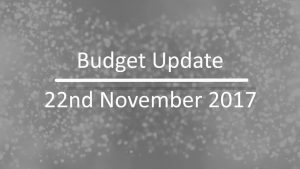 The following report summarises the announcements made by Chancellor George Osborne during the Budget 2016 on 16 March 2016. A large part of a person’s legal identity is based upon where they live at any one time and how long they will be staying there. 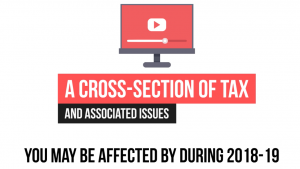 If you stay in the UK for a prolonged period of time, you are going to be liable for tax at some point. The exact point and how much tax you will have to pay will depend in large part on whether residence or domicile applies to you. 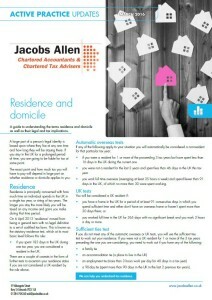 Read this guide to understanding the terms residence and domicile as well as their legal and tax implications. 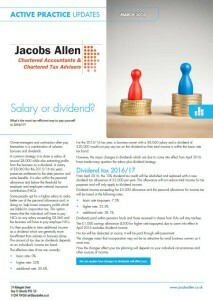 Salary or dividend? Which is most tax-efficient? Owner-managers and contractors often pay themselves in a combination of salaries, bonuses and dividends. 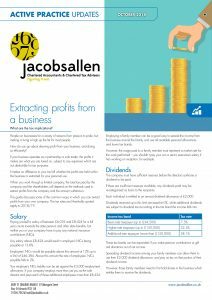 A common strategy is to draw a salary of around £8,000 while also extracting profits from the business as a dividend. 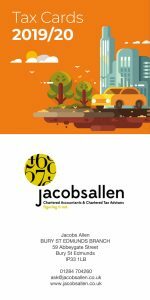 Others opt for a higher salary to make better use of the personal allowance and, in doing so, help lower company profits which are liable for corporation tax. What's the most tax-efficient way to pay yourself in 2016/17? Read this guide to find out. 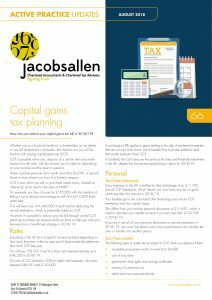 Read the latest guide from Jacobs Allen for year-end tax 2015/16 and see how it could benefit you. 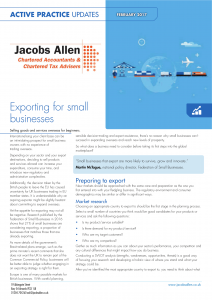 The Financial, Tax and Accounting considerations of starting a new business. With this handy reference guide to starting a business, you should be able to successfully handle many of the problems encountered in starting and running a business. 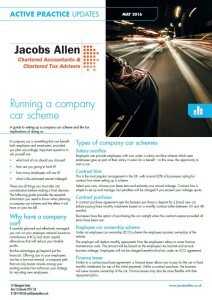 Access the Jacobs Allen 2 Minute Health Check and see how it can benefit your business. 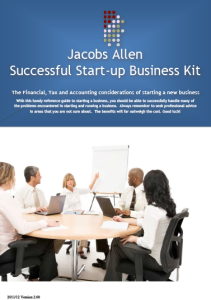 Download your very own Business Plan template brought to you by Jacobs Allen. What do you want your life to be like when you pass retirement age? Are you looking forward to the end of your working life as a time to take on new projects or to simply relax after 40 plus years of work? The kind of retirement you have will be determined by the decisions you make today about how you organise your money. This is the central idea driving retirement planning: how are you going to ensure that you get the retirement you want? Read this introduction to using your resources to help ensure you get the retirement you want. Switching your business’s structure is one such way of changing the way you do business. Sole traders, having recently struck up a good relationship with another like-minded individual, might be thinking about entering a partnership. Having eyed up the potential tax advantages, existing partnerships may be looking into the process of incorporation. 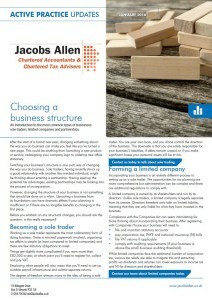 Read this introduction to the most common types of businesses: sole-traders, limited companies and partnerships. At the end of the year, most people have other things on their minds than tax returns. It would be a stretch to say it’s an enjoyable experience, but getting self-assessment done and dusted as early as possible removes the stress of a last-minute submission and certainly makes the process more bearable. 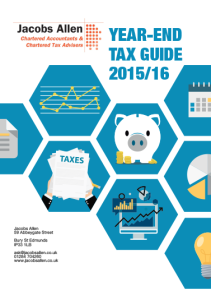 This guide will give you the tools you need to submit your self-assessment tax return on time and error-free. 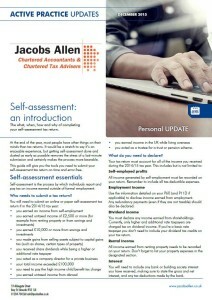 The what, when, how and why of completing your self-assessment tax return. We all like to think that our nearest and dearest will lament our passing with fond memories. 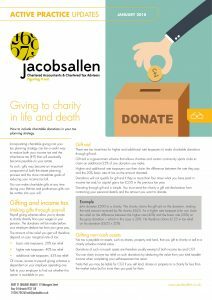 It would be sad to think that after the initial period of mourning has passed, kind words turn to bewilderment when your beneficiaries realise your estate has a large inheritance tax (IHT) bill? 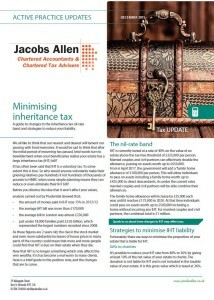 Read this guide to find out more about the changes to the inheritance tax nil-rate band and strategies to reduce your liability. 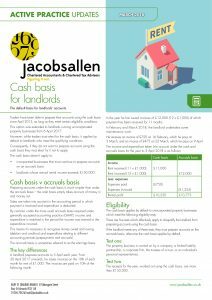 When the Chancellor George Osborne announced that he was curbing tax breaks for landlords in Summer Budget 2015, there was speculation that it would result in thousands of landlords selling up and getting out of the property business. This was because the changes would alter 2 extremely valuable reliefs which landlords have been able to claim. 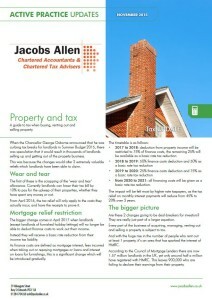 Read our full guide to tax when buying, renting out and selling property to find out more. 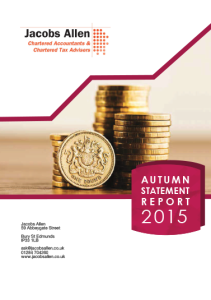 The number of businesses that offer employee share schemes has doubled since 2000, according to HMRC. Giving employees the chance to invest in their company can help an employer improve retention, attract staff and raise funds. For employees, there’s the opportunity to save money in a tax-efficient way. 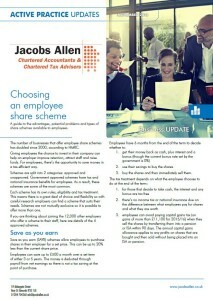 If you are thinking about joining the 12,000 other employers who offer a scheme to their staff, read our guide to the advantages, potential problems and types of share schemes available. There are many ways that an employer can go about rewarding their staff, from gifts and bonuses to parties. While it may at first seem like the only factors that need to be factored in are whether or not your employees actually deserve to be rewarded and how much money you are willing to spend, as with most things there are tax obligations to consider too. So what are the options and how do they weigh up against each other? 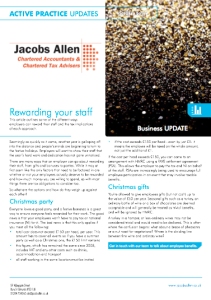 This article outlines some of the different ways employers can reward their staff and the tax implications of each approach. Running payroll is one of the less glamorous aspects of being an employer. However, it is often the mundane tasks that are the most crucial. Failing to pay your staff would quickly lead to a very unhappy workforce. 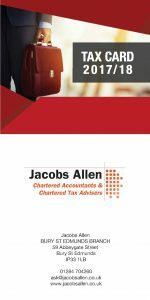 While neglecting your responsibilities towards HMRC could result in penalties and investigations. This guide looks at some of the common payroll problems and choosing payroll software. 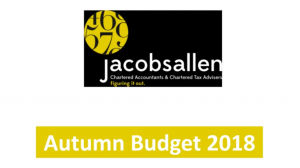 For a run down of the latest tax rates following the Summer Budget 2015, download or print out our handy tax card. 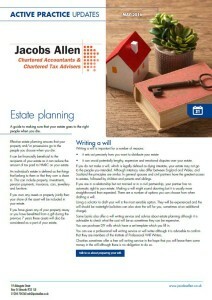 If you want to discuss your planning just get in touch and one of our advisers will be happy to help. 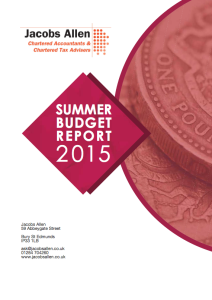 IMPORTANT NOTICE: Summer Budget 2015 version. These rates and allowances are information only. No one quite knew what to expect in the first budget by a majority Conservative government for almost 20 years. In his seventh Budget Statement as chancellor, George Osborne promised a ‘big budget for a country with big ambitions’. As predicted there were details on how the government will full its pre-election goals of reducing welfare spending by £12 billion and changing the inheritance tax nil-rate band structure. Anyone who has experienced the difficulty of trying to get through to the HMRC helpline may think that it is an organisation too large and complex to do anything quickly. 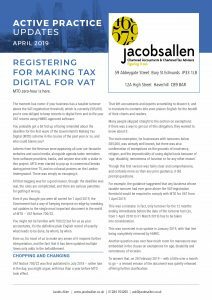 However, while it may seemingly lack the ability to answer phone calls and emails in a timely manner, HMRC is now a force to be reckoned with when it comes to investigating those who they believe may not be paying the right amount of tax. 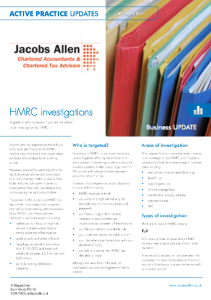 Read our guide to understand what to expect if you are the subject of an investigation by HMRC. The chancellor George Osborne wasn’t exaggerating when he said he was undertaking a “major and long overdue reform to simplify the taxation of dividends” in his Summer Budget speech. The “complex and archaic system” of tax dividends will be overhauled in April 2016 with ‘a simplified structure and different tax rates. 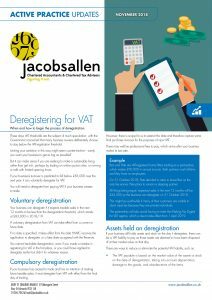 The final rules are still subject to legislation but HMRC released a factsheet of how it envisages the rules will apply on 17 August 2015. 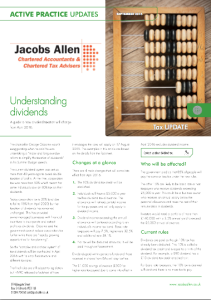 Read this guide to find out more about the changes to dividend taxation from April 2016. People often have a slightly misjudged opinion of their savings as a sedentary block of assets that only creeps forward at a glacial pace due to the interest it generates. But if you are thinking about maximising the amount of resources you will have for retirement, or you simply want to start making your money work a little harder, there are a range of strategies for getting more out of your savings. 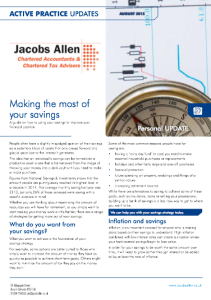 Read this useful guide on how to use your savings to improve your financial position. 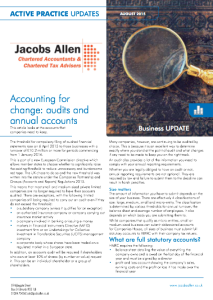 The threshold for compulsory filing of audited financial statements rose on 6 April 2015 to those businesses with a turnover of £10.2 million or more for periods commencing from 1 January 2016. This means that most small and medium-sized private limited companies are no longer required to have their accounts audited. There are exceptions though, with some limited companies still being required to carry out an audit even if they do not exceed the threshold. Read this article to find out more about the accounts that companies need to keep. The rules governing accounting standards are undergoing the biggest change in 30 years. 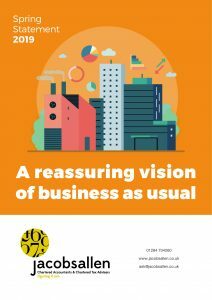 And, while accountants have been bracing themselves for a potentially seismic change for a while now, many businesses could be forgiven for being unaware that anything was changing at all. So what is changing and how should businesses begin to get ready for the transition? 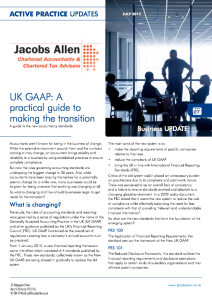 Read our guide to the new accountancy standards to find out more. Setting up a business and funding it while it takes its first, unsteady steps in the world can be an expensive proposition. As it grows and becomes more resilient, a successful company will begin to be able to stand tall on its own 2 feet, but the initial infancy can be resource intensive. 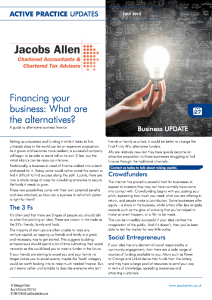 Read our guide to alternative business finance to find out about alternative financing routes. 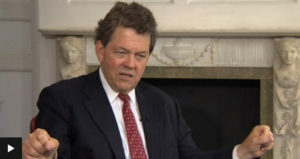 A former adviser to President Ronald Reagan, and the inventor of the “Laffer Curve”, claims lower taxes – and the same tax rate for all – would bring in more money for the government and create prosperity. Simplifying the complexities of repairs and capital expenditure. 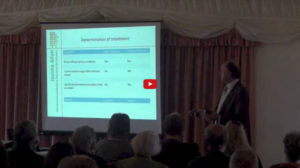 A presentation to the Eastern Landlord Association by Keith Senior in 2013.